It’s easy to see why Succulents have become so popular in contemporary gardens. Many are evergreen; they’re undemanding and easy to grow – provide them with a sunny spot and the right conditions and they’re off. Best of all, with today’s climate issues, they’re drought tolerant. There’s a huge range from tender, indoor varieties to hardy spreading types. From four-foot tall architectural Agaves to ground-hugging intricate varieties. But it’s best not to run before you can walk and a combination of hardy Sempervivums (houseleeks) and Sedums (stonecrops) is a good place to start. They need free-draining soil – you can use a special cactus mix or make your own incorporating sand and plenty of grit. If your soil is heavy you’re better off planting them in containers. Waterlogging is fatal to succulents so water sparingly when the soil is dry. Planting against a south-facing wall will help to prevent over-watering due to the rain shadow under the eaves, and if you top-dress with gravel it will help to avoid root-rot. They require little to no feeding – remember you’re mimicking the dry conditions of the desert and savannah. Succulents are happy container plants and can stay in the same pot for years. A shallow bowl or trough is ideal, but as they can grow successfully in crevasses and on roofs you have many options for more unusual containers. Is it late Spring or early Summer? With our climate it’s hard to tell, but it’s that happy time in a gardener’s year when everything is bursting into life and clumps of perennials seem to double in size weekly. There’s lots to do and keep on top of, but also much to enjoy. Wisteria is the classic early-flowering summer climber. Patience is a virtue with this one as it may take five years to flower for the first time, but it’s well worth it when it does. At 10m tall, it will need a large wall or pergola and fertile soil in sun or light shade. Wisteria Sinensis is a Chinese Wisteria with lilac-purple fragrant flowers in May. 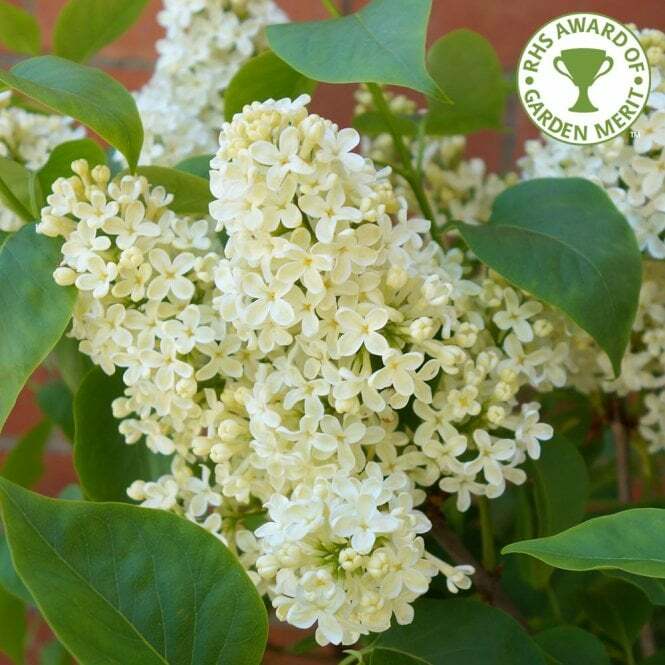 Lilacs (Syringa Vulgaris) can be grown as small trees or large shrubs and bear trusses of sweet-scented flowers that are very attractive to butterflies and bees. Foliage is mid-green and heart-shaped. The flowering season is relatively short but a summer-flowering climber can be grown through the foliage to extend the season of interest. Lilacs require well-drained soil and a sunny spot. Bearded Iris. These flamboyant, ruffled blooms are stunning at this time of year. Available in just about every colour and with mid-green sword-like foliage, they don’t like to be crowded or shaded by other plants and like a sunny, well-drained mediterranean environment, so team successfully with the silver-leaf colours of rosemaries, lavenders and cistus. As perennial plants mature they can start to look congested and tatty, fighting for space with their neighbours and dying out in the centre whilst all the healthy growth is around the outside. Most perennials benefit from being lifted and divided every three or four years. As well as rejuvenating the plants it’s a great way to increase your stock. Bulbs need to be divided for similar reasons. Many are excellent at multiplying themselves and, over time, clumps become overcrowded and flowering declines because of the heavy competition for nutrients. Snowdrops and Winter Aconites in particular must be divided ‘in the green’ – straight after flowering, and most other bulbs can also be dealt with whilst the leaves are still growing vigorously. Crocus, Daffodils and Grape Hyacinths will all divide well in March. Lever the clump out and gently rock and twist the bulbs back and forth until they separate. Replant clumps into well-prepared and fertilised soil at the appropriate depth. As the garden wakes up after its winter rest there are few more cheering sights than a display of daffodils ‘fluttering and dancing in the breeze’. Botanically known as Narcissus, daffodils are also known as jonquils and as the Lent Lily. Immortalised in myths and poems, they are synonymous with spring and symbolise new beginnings. There are literally hundreds of varieties to choose from; some start flowering in late winter and others through into late spring. Although most are yellow, they are available in white, orange and pink, as well as two-coloured varieties, and single as well as double-flowers. Daffodils are versatile and very easy to care for, requiring little effort after planting in autumn. Best grown in sun or light shade, they’re not fussy about the type of soil, providing it isn’t waterlogged. They should be left in the ground and will develop into large bold clumps, although they will benefit from dividing after a few years. Daffodils naturalise well, planted in drifts in the lawn, in borders or grown under trees or shrubs. Shorter-stemmed varieties look great grown in containers or hanging baskets. You can start deadheading as soon as the flowers have faded, but leave the flower stems and leaves to die down naturally as the bulbs need the leaves to feed them. Narcissus ‘Replete’ is a peachy-pink double-flowered daffodil with eye-catching ruffles, which grows up to 45cm tall. Narcissus Papyraceus (Paper-white) are primarily grown for their pure-white flowers with yellow stamens and sweet scent for indoor arrangements but will survive outdoors in mild areas and sheltered spots (40cm tall). Narcissus ‘Jetfire’ is shorter-stemmed at 20cm, and has bright yellow petals with a bright orange trumpet. Whichever variety is chosen they should provide you with many years of enjoyment. If you can’t face another trip to the shops, it’s easy to find a gift to delight your green-fingered friends without leaving the house. Turn them into a gardening-pro with a plant subscription box, a magazine or membership for one of their favourite places. It’s a great way to get their gardening year off to a good start. Gardeners Box – This garden subscription box takes the guesswork out of gardening and provides monthly inspiration to help your garden thrive during all four seasons of the year. Every month you will receive eight carefully curated packs of seeds, easy to follow instructions and plant markers delivered to your doorstep. That means you spend less time researching and buying seed varieties and more time enjoying yourself in the garden doing what you love best. £9.99/month or £115 annual gift subscription. Mud & Bloom Monthly Nature Crafts and Gardening Activities – If you’re keen to get your little ones away from the screen and into the outdoors, then Mud & Bloom might be the box for you. Boxes are seasonal and include a gardening activity and a nature-based craft one. The activities are designed by qualified teachers in line with the national curriculum. Delivery is monthly. 6 months £53.70. The Generous Gardener – What do the celebrated actors, the bestselling novelist, the Nepalese Sherpa and the famous model have in common? Like millions of us, they love their gardens. The gardening editor of The Sunday Times, Caroline Donald has been allowed beyond the gate of more than forty private gardens. If you can’t get to see a place for inspiration, reading about it is the next best thing. The RHS Encyclopedia of Garden Design – Whether you’re looking to revive a tired flowerbed or aiming for a complete design overhaul, the RHS Encyclopedia of Garden Design will show you how to make your ideal garden a reality. Grasp the fundamentals of garden design, find a style that suits you, and bring your ideas to life. BBC Gardeners’ World magazine is the perfect companion to the BBC2 TV series that celebrated its 50th birthday this year. Subscriptions include valuable extras – including seeds, an annual calendar, 2-for-1 Gardens Entry Card & Guide and exclusive digital content. Arboretum Membership – Unlimited visits to your favourite places. A Forestry Commission Discovery Pass gives access to one of thirty forest sites around the UK. Or how about RHS Membership. Enjoy unlimited days out at RHS gardens for the member and a family guest or 2 children, exclusive access to shows and expert advice, and a monthly subscription to The Garden magazine, all while helping to support their extensive charitable work. For gardeners, the good thing about this time of year is that there’s not much to do outside so there’s plenty of time to plan. If a part of the garden didn’t quite work out as well as you hoped last year – perhaps it was a one-season wonder, or full of shade-loving plants and then the neighbour cut down his overhanging tree – it’s time for a rethink. Start off with some squared paper and draw a plan of the patch to scale. Indicate north and south, fences and overhanging trees and anything that you want to keep. Think about a theme for your border, and what kind of planting you prefer – contemporary, cottage-garden, urban, formal, wildlife-friendly or perhaps mediterranean. These days there’s a wealth of ideas just a few keystrokes away. A bed and border planning book will be a great help in deciding which plants look good together, and help you to visualise how big they will grow. You will need to decide if you want some plants at their best all year round (a mixed border of bulbs, shrubs, evergreens and perennials), or if you’re happy with a blaze of glory in the summer months. An easy to care for family-friendly border should major on resilient shrubs and weed-smothering ground cover, or if your priority is butterflies and bees plan for sedums, buddleia, herbs and lavender with some hardy annuals. If you want to bring birds to your garden make sure you include fruit and berries, with twiggy trees and dense bird-hiding shrubs. If you’d like some help the RHS have lots of inspirational photographs and key plants to choose to bring different styles to life. Or consider bringing the professionals in – the Society of Garden Designers offers a search facility to find the perfect designer for you. January brings heavy frosts and snow, or at least it used to do before our climate became so unpredictable. With winters wetter than they used to be, these days it seems we’re just as likely to get a cold and soggy start to the year. Whichever way it goes, there’s no denying the garden is looking rather bare, and we have to look harder to find something interesting to admire. This is where plants with attractive bark come into their own. The main attraction of the Tibetan Cherry Tree (Prunus serrula) is its smooth and shiny conker-coloured bark that starts to peel away in winter revealing the new lighter bark beneath. As a bonus, it also bears white flowers in spring followed by small oval fruits. It’s a slow-grower, and not for a small garden as it will eventually reach 6 x 5m, but given enough space, it’s glorious. The silver birch family is large and the one thing they all have in common is outstanding bark. Betula utilis var. jacquemontii has exceptionally white and luminous bark which lights up a dark corner. All birches have leaves that turn golden in autumn, and a light canopy of leaves that offers dappled shade. Again, a substantial tree that can reach 10 x 5m. On a smaller scale the stems of Dogwoods are brightest in winter, ranging in colour from bright red through to orange and pink. These easy to grow shrubs have a spreading habit, are tolerant of wet conditions and come in at a manageable 1.2 x 1.2m. Cornus sanguinea ‘Midwinter Fire’ has orange-red and yellow young shoots, and small white flowers in summer. The most important thing to remember with Dogwoods is to cut out the oldest stems at the end of winter. Struggling to pick the perfect present? Here at More Than Mowers, we’re all-too-familiar with the difficulty of buying for green-fingered family members. Their shed’s fully-stocked, they’ve built themselves a potting table and have already purchased tickets to ‘Gardeners’ World’! This sleek and sophisticated little gadget might not scream ‘gardening essential’ but after trying one out, we see it as an indispensable piece of kit. Despite its small size, the Multi-Mate makes light work of any finishing job and it’s more than powerful enough to chomp through most domestic hedges too. Better still, it’s small enough to use one-handed and it weighs just 1kg . Because it’s battery powered and cable-free, you’ll be able to use it anywhere in the garden and there’s absolutely no chance that you’ll strain your wrist while you’re using it either. Even if you do decide to keep using it for the full, 110-minute run time. In fact, we think the Multi-Mate is equally well-suited to novice and veteran gardeners, and we’re confident that anyone could make good use of its outstanding feature-set. Irrespective of whether you’re touching up a hedge or trimming those irritating little patches of grass that tend to crop up around table legs, the Multi-Mate is consistent and reliable. It’s also one of the few multi-tools that are suitable for people that struggle to manipulate standard, cordless hedge trimmers. The optional attachments are nothing to sniff at either: Alongside the standard hedge- and grass-trimming blades, Stiga have also produced a pruning disk, a soil grubber and a telescopic handle attachment that gives a full 15cm of extra reach, which could be just what’s needed for those hard-to-reach spots in the garden. At times, it does feel a bit like you’re carrying a whole garden shed in the palm of your hand, but that’s never a bad thing – particularly if your chosen recipient is a stickler for finishing touches. The attachments are nice and easy to change too with a tool-free click system that allows you to eject the current attachment with one button press. For those who like the technical stuff – Stiga have used a brushed motor and hardened steel gears to ensure that the Multi-Mate can go the distance. They’ve also installed a high-quality, high-capacity battery in the machine’s handle. Unlike the batteries of yesteryear, these powerful, lithium-ion power packs hold enough charge to keep the blades whirring for 75-110 minutes. They also charge up in around 5 hours, so the days of waiting all day for 30 minutes of charge are (fortunately) long behind you. There are currently two different models of Multi-Mate; the SGM 102 AE, and the SGM 72 AE. the SGM 102 AE does have a slightly larger battery (10.8v Vs. 7.2v) and slightly more power to boot, but the smaller, 72 AE model is still perfectly capable of coping with most domestic tasks, so it’s really just a question of whether or not you need that extra ‘oomph’. You can learn more about the SGM 72 AE here, or click here to read about the larger SMG 102AE. And remember, if you have any questions, we’re always on-hand to advise. We’re also committed to helping you find the very best presents for your green-fingered relatives, so if you’re looking for general advice or recommendations, get in touch using the contact form on our site, calling 01380 828961 or dropping into our showroom in Melksham, Wiltshire. We’ve asked our gardening friends what they’d like to see in their stockings this Christmas and have come up with some practical and quirky ideas that should fit the bill. Monty Don’s latest book is a distillation of his 50 years of gardening experience, with all the tips and gardening wisdom to make your garden flourish. Discover his thoughts and ideas around nature, seasons, colour, design, pests, flowering shrubs, containers, and much more. £17.99. Now that the temperature has dropped it’s tempting to lock up the garden shed and head indoors, but a few hours of preparation now for the cold winter months gives you a head start when spring arrives, so that you can get busy planting rather than clearing out plants that haven’t survived the winter. Continue clearing dead plants and cutting back perennials (but don’t be too tidy – seed heads are good for insects). Clear away debris that may harbour slugs and snails and rake up the last of the autumn leaves and make leaf mould with them. Once tidied, spread manure or a mulch to protect plants from hard frosts.The worms will work it in for you and your plants will come back happy and healthy next spring. Fork over vacant ground, turning soil several times to expose any soil pests to birds. Avoid walking on the lawn.Send the lawn mower off for service to ensure it’s in good condition when next needed. Move containers to more sheltered positions close to the wall of the house, and use pot feet to aid drainage. Bubble wrap or horticultural fleece helps prevent contents from freezing solid. Protect potentially tender plants, such as hardy fuchsias, with a deep mulch. Truss up tree fern foliage with straw tied around with string. Check stakes and ties on newly-planted trees. Clean out gutters, downpipes and drains. Clean and disinfect water butts. Wash your tools and sharpen those that need it. Dry thoroughly and oil metal parts to prevent rust. Oil wooden handles with linseed oil. Remove all rubbish from the greenhouse and disinfect the staging. Scrub off any shade paint and ventilate to dry thoroughly. Wash pots and seed trays. Inspect for loose boards and posts. Check roofing felt and make minor repairs. Clear ponds of leaves and rubbish and add to the compost heap. Float a rubber ball on the surface (should ice form you can remove it and leave a breathing hole for fish, or melt a hole by standing a hot saucepan on the ice for a few minutes).